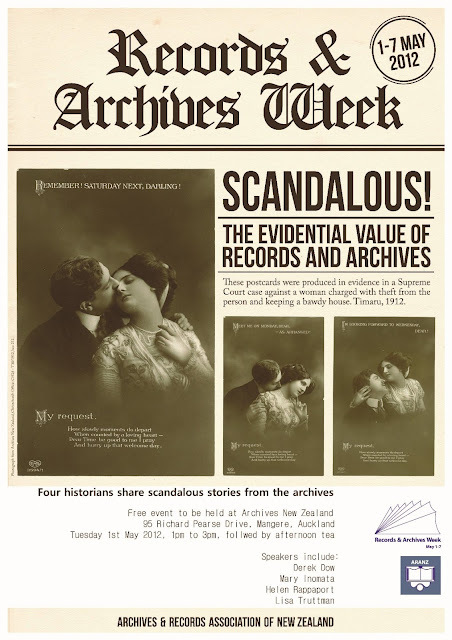 I've been asked to take part in the RAW (Records & Archives Week) event "Scandalous!" happening on May 1 at Archives New Zealand in Auckland. After quite a bit of jaw-dropping and "oh, my gosh!" reactions from yours truly, I've plumped for the topic of dear old Mr Albert Potter. Don't know how this will go, but -- I'll give it my best shot, folks.